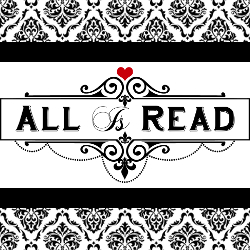 All Is Read : COVER REVEAL!! Anna Zaires with book 2 of the Tormentor Mine Series, Obsession Mine. COVER REVEAL!! Anna Zaires with book 2 of the Tormentor Mine Series, Obsession Mine. Anna Zaires fell in love with books at the age of five, when her grandmother taught her to read. She wrote her first story shortly thereafter. Since then, she has always lived partially in a fantasy world where the only limits were those of her imagination. Currently residing in Florida, Anna is happily married to Dima Zales (a science fiction and fantasy author) and closely collaborates with him on all their works. After graduating from the University of Chicago with a degree in Economics, Anna spent eight years on Wall Street analyzing stocks and writing research reports. In 2013, she became a full-time author, pursuing her lifelong dream of writing romance novels. Dima Zales is the love of her life and a huge inspiration in all aspects of her writing. Every book Anna writes is a product of their unique collaborative process. In addition to reading and writing, Anna enjoys drinking tea (coconut oolong, anyone? ), watching addictive TV shows, and discussing book ideas during long walks with her amazing husband. She loves hearing from her readers, so please don't hesitate to contact her through her website or connect with her on Facebook, where she hangs out way too often. Also, please visit her husband and collaborator, Dima Zales, at www.dimazales.com and check out their fantasy & science fiction books.